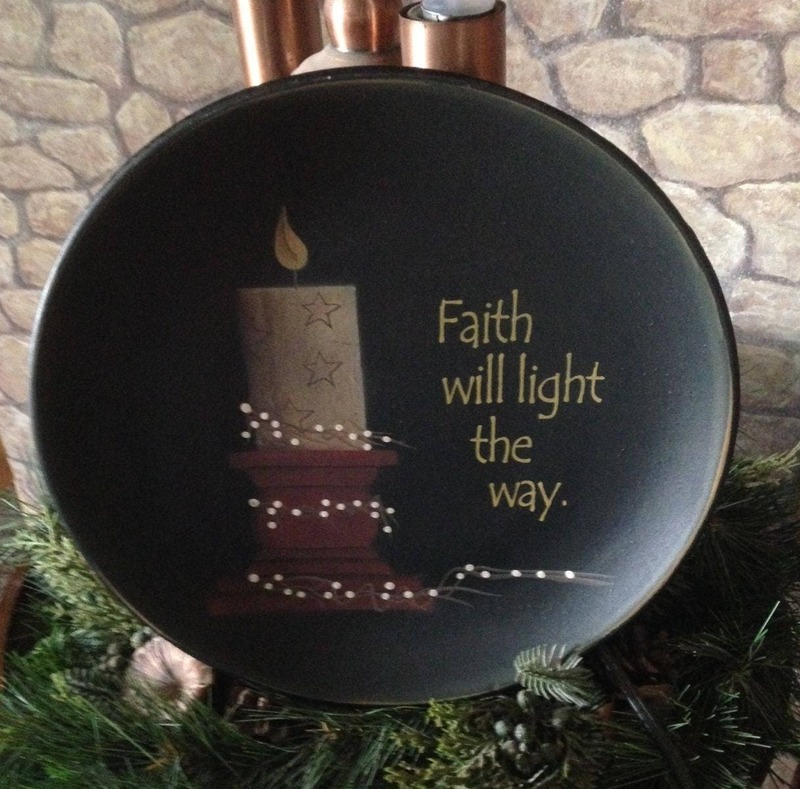 The "Light the Way Plate" is a round plate measuring 11-1/2" in diameter. 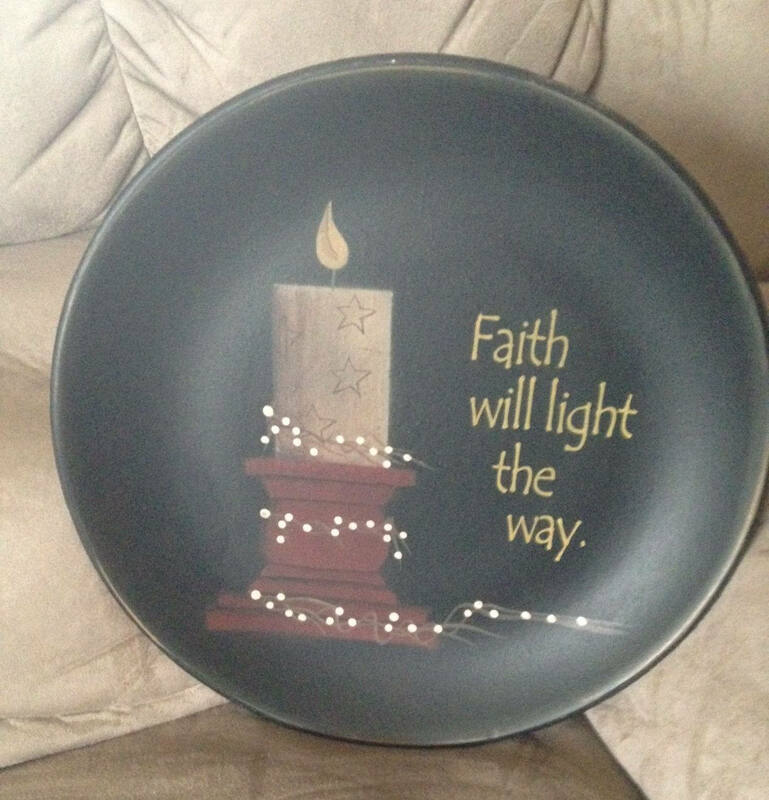 The plate is made of distressed wood and painted black. A design of a lit candle decorated with stars and pip berries is in the center of the plate. 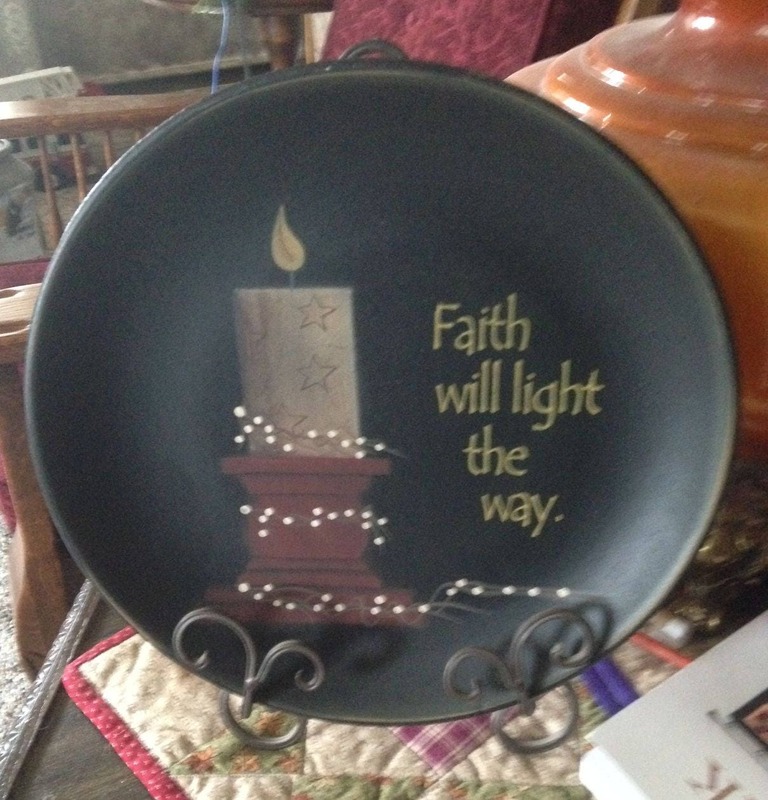 Plate reads: "Faith will light the way."